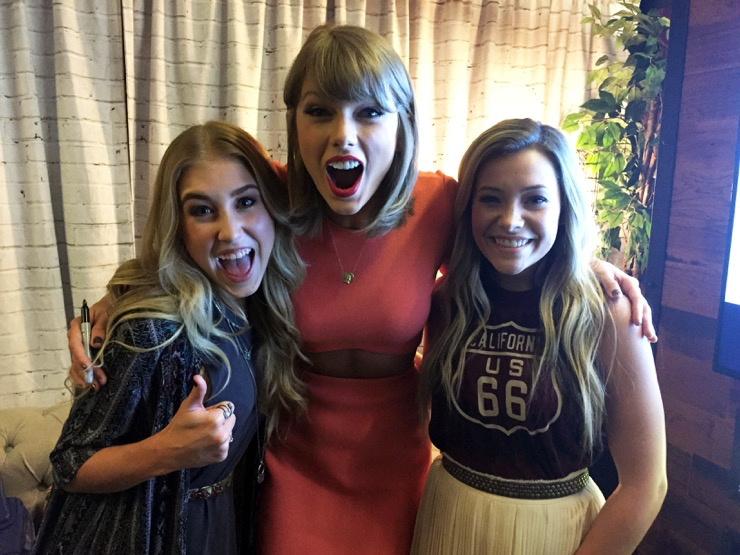 Country duo Maddie & Tae met BMLG labelmate Taylor Swift before her 1989 World Tour performance at The Staples Center on Aug. 24. Maddie & Tae with Taylor Swift. 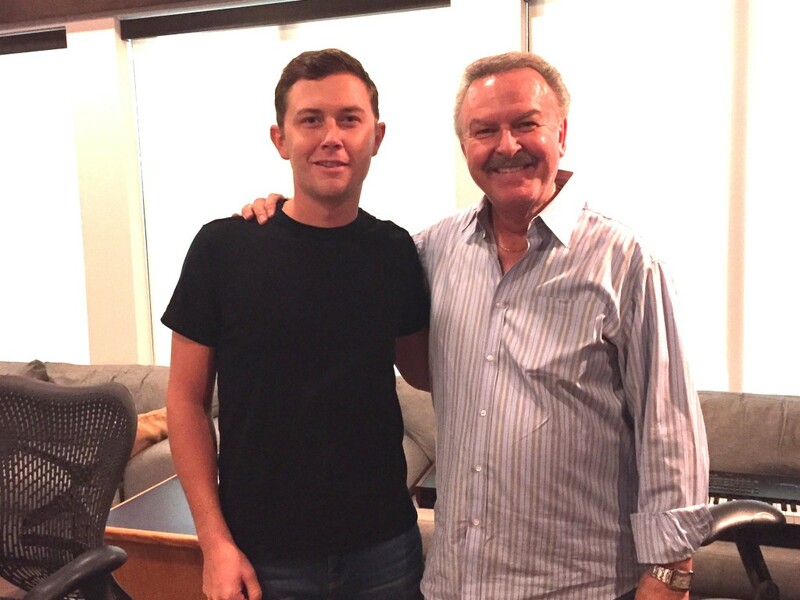 Scotty McCreery was recently interviewed by radio/television personality Charlie Chase for Premiere Radio Networks’ “The Crook and Chase Countdown” syndicated radio show. They discussed McCreery’s current single, “Southern Belle,” which impacts country radio on Aug. 31. The song, from McCreery’s upcoming album due in early 2016, was written by Sean McConnell and Jason Saenz. Pictured (L-R): Scotty McCreery and Charlie Chase. 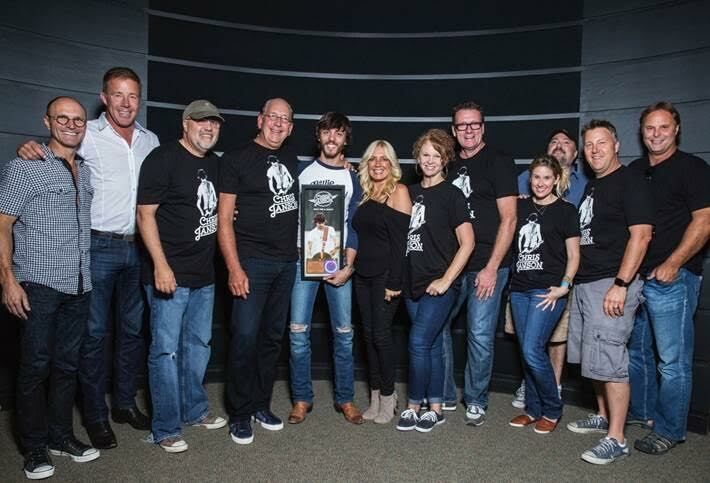 Warner Music Nashville hosted the fourth Pickin’ On The Patio party yesterday (Aug. 26) featuring Warner Bros. Records recording artist Chris Janson. He was surprised with a plaque in recognition of his Top 5 single “Buy Me A Boat” receiving Gold certification from the RIAA. 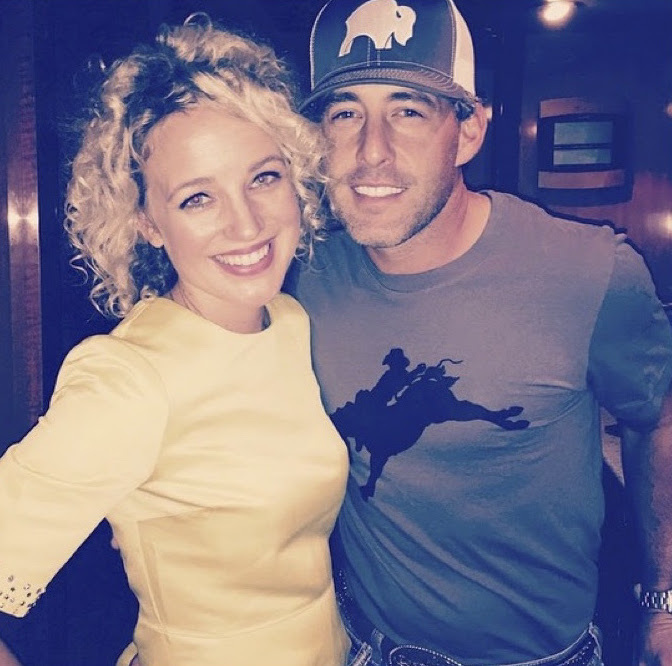 Country singer-songwriter Aaron Watson recently topped the country albums chart with his project The Underdog, setting the stage for his current headlining tour by the same name. He announced an additional 40+ shows on the tour last month. Watson brought newcomer Cam along for his West Coat run, including several sold out shows in Bakersfield, Sacramento, San Jose, Corona, and Mesa, Ariz.
“This guy, and his whole crew, just salt of the earth, hard working, crazy talented, so inspiring,” shared Cam on her Instagram page. 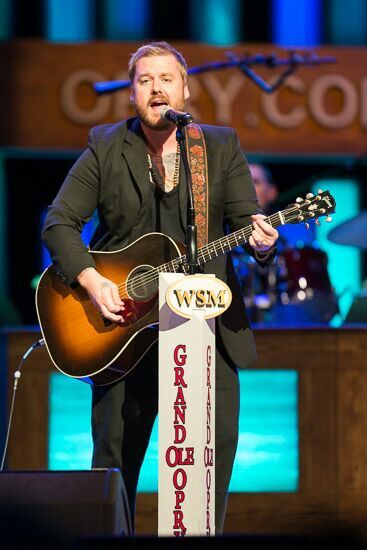 Bart Crow makes his Opry debut. Bart Crow, alt-country singer/songwriter from tiny little Maypearl, Texas, realized a dream Friday when he stepped on to the stage of the Grand Ole Opry to make his debut. Introduced by Opry legend Jeannie Seely, Crow performed his current hit single “Life Comes At You Fast” and “Queen of the Heartache Parade” from his upcoming new album The Parade, scheduled for release Oct. 2. Many of Crow’s family and friends flew in from his hometown to celebrate and witness his realized dream.